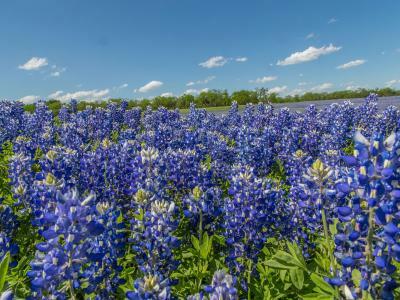 If there’s one thing you don’t want to forget when traveling to the Hill Country, it’s a camera. With 12 state parks and six protected state natural areas, this area’s picturesque landscape is full of opportunities for outdoor adventures you’ll want to Instagram all day (and evening) long. 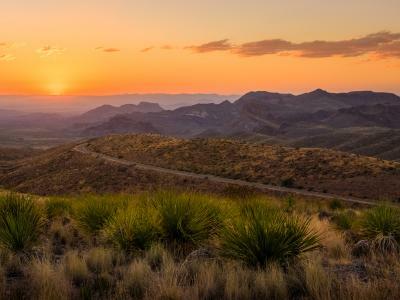 For some basic hiking with a not-so-basic view, make the trip out to Enchanted Rock, where you’ll find one of the best vistas for hundreds of miles. This massive pink granite batholith leads to a stunning overlook and draws both hikers and rock climbers to its sloping dome. If you’re here in autumn, do yourself a favor and go hunt down some fall foliage at Lost Maples. This isolated pocket of bigtooth maple trees bursts into brilliant red, orange and yellow hues every autumn. For a walk through some forested countryside, Inks Lake State Park features nine miles of beautiful trails, and at Pedernales Falls State Park, you can trek alongside stepped pools, try some backcountry camping or even test your mettle on a 10-mile mountain-bike trail. When you’ve had your fill of canyons, trees and trailheads, you can take to the skies or go underground. Cypress Valley Canopy Tours, Helotes Hill Country Ziplines, Lake Travis Zipline Adventures and Wimberley Zipline Adventures all offer the chance to gain a thrilling bird’s-eye perspective of the surrounding countryside. Beneath the rolling hills, you’ll find limestone bedrock in a magical wonderland of caverns dating back millions of years. Longhorn Cavern State Park in Burnet has a rare river-formed cave of smooth, sculpted chambers. An incredible array of geological formations can be found at two privately owned National Natural Landmarks: the Caverns of Sonora and the Cave Without a Name in Boerne. In both of these living caves, lacy stalactites hang from the ceiling, and stalagmites rise like pillars from the floor. And just outside of New Braunfels in the small town of Schertz, you can take a guided tour of one of the largest caverns in the state of Texas, with several enormous rooms featuring thousands of shimmering formations and plenty of photo opportunities. With so many caverns in the area and the ideal summer climate for migratory Mexican free-tailed bats, there are plenty of places to watch them take flight. Among the best places to observe them is Kickapoo Cavern State Park. The site includes about 20 known caves, and two of the largest—Kickapoo Cavern and Stuart Bat Cave—host colonies of the nocturnal creatures from mid-March through the end of October. Devil’s Sinkhole State Natural Area is another destination for bat viewing, with one of the largest colonies in the state swirling up from a vast single-chamber cavern at dusk. And for a more urban scene, you can head to the Bat Bridge in Austin, under which millions of bats have made a home. While they’re in town, you can see them swarm into the sunset over Lady Bird Lake – a rite of passage for city newcomers and summer guests. 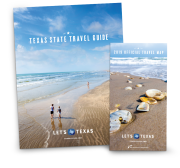 There are tons of ways to enjoy the natural wonders of the Hill Country, so take time to connect with the great outdoors while you’re here. Between breathtaking views of the undulating landscape, otherworldly trips underground and spectacular flights of local wildlife, you’re sure to collect at least a few photos that you’ll treasure forever.